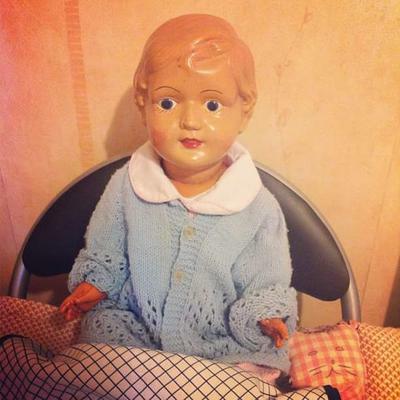 Hello, there I'm a first-time poster looking for some information on my great auntie's vintage doll. All I know is she has had it most of her life, she's 89 and from India. Since doing a bit of research I've learned she is a composition doll with some light crazing. Not looking to sell as she is very much loved and taken care of by my auntie. Join in and write your own page! It's easy to do. How? Simply click here to return to Compo Collection.